As usual, the world tourism industry joined FITUR, one of the largest tourism fairs in the world, in which Costa Rica played a key role this year when it won the Excellence Awards 2018. According to the organization, this is a recognition awarded during more than 10 years to those tourism projects or companies that have stood out for relevant actions, significant ideas or creative plans that marked the difference in the sector during 2017. Mauricio Ventura, Minister of Tourism, explained that on this occasion Costa Rica obtained the recognition with the new identity launched: "Costa Rica, my choice naturally" when considered as a pioneering tourism project in which highlighted the mixture of neuroscience with nature. "2017 was a very productive period for our industry, in which tourism was consolidated as the engine for social and economic development of the country, but also, we achieved a high presence worldwide, among other actions, thanks to the close work and constant contact with the World Tourism Organization of the United Nations; and without a doubt, one of the most outstanding projects was the launching of our new tourist identity, which continues to enjoy international recognition, as in this occasion, in which the framework of one of the largest and most important fairs in the world, we had the honor of receiving this recognition, "explained Ventura. The new tourism identity "Costa Rica, my choice naturally" was made possible through an ICT partnership with the UNWTO, CNN International, one of the most credible and global media chains, and the support of CNN Task Team: approximately 80 experts in brands and international tourism. The prize was awarded in the framework of the International Tourism Fair (FITUR), which takes place from 17 to 21 January in Madrid Spain. On this occasion, the Costa Rican Tourism Institute (ICT), participates in the company of 41 Costa Rican tourist companies, in a stand of 298 square meters. Travel Excellence is part of this major event, as part of our compromise in promoting Costa Rica as destination and our services for the better enjoyment of customers’ Costa Rica vacations. According to Alejandro Castro, ICT Marketing Director, one of the important changes that have been made around the international fairs is the reinforcement of the Costa Rican identity and its cultural aspects, such as the gastronomy part of the Costa Rica food, the traditional art, popular dances and music, etcetera; and this is the reason why the assistants can taste coffee, cajetas (a traditional dessert made out of coconut or milk), cotton candy and much more, while appreciating the decoration of the typical carretas (antique means of transportation) and some presentations of creole swing, among others. For Costa Rica this is an important recognition as it reinforces the image of a sustainable country which thinks green and is compromised with the ecotourism and the local communities. Visitors come all over the world to appreciate our traditions and natural beauties, and we are sure that Costa Rica has much more to offer. 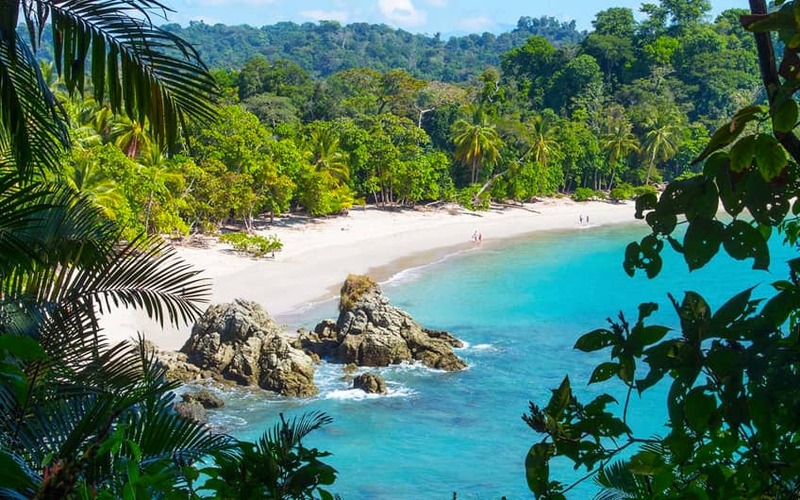 Vacationing in Costa Rica is something that more and more people are looking for, as the destination is a family friendly place and also a great spot for both business and leisure trips. Seeing Costa Rica as a strong destination with multiple and varied places to visit and enjoy enables the growth of the sector and the possibilities for all the tours and other services. The best family vacation in Costa Rica is waiting for you!